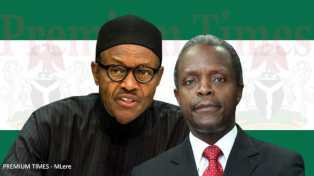 Home / News / Politics / Buhari begins vacation as Osinbajo becomes acting president. Buhari begins vacation as Osinbajo becomes acting president. President Muhammadu Buhari has begun a short vacation, his office announced Friday. The president will be on break from his official functions February 5 to February 10, 2016. During his absence, Vice President Yemi Osinbajo will perform the functions of the president, a statement signed by presidential spokesperson, Femi Adesina, said. "In compliance with Section 145 (1) of the Nigerian Constitution, President Buhari has dispatched a formal notice of his vacation to the Senate President and the Speaker of the House of Representatives," the statement said. President Buhari is taking his first vacation only eight months since coming to office. Some International Standard Stadia in Nigeria. CBN: Buy Naija Product to grow Naira. See where Most African do shopping. Egypt train crash: More than 100 people injured.